The Hambleton Inn Bed and Breakfast offers lodging accommodations on the harbor in the quaint town of St. Michaels—part of Maryland’s fabled Eastern Shore. 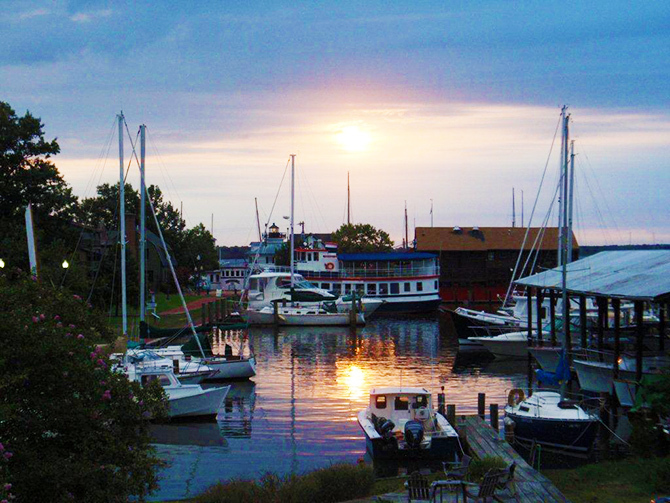 A stay at the Hambleton Inn Bed and Breakfast provides the perfect opportunity to relax and unwind in one of the Chesapeake Bay’s most picturesque harbor towns. The Inn is ideally located on the St. Michaels harbor, within walking distance of the fine restaurants, art galleries, antique shops, and boutiques of St. Michaels. 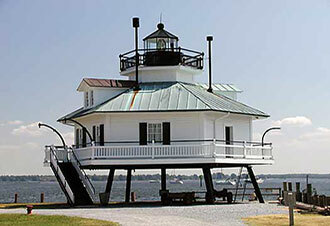 From the Inn’s front porch, take a stroll across the historic Honeymoon Bridge to the Chesapeake Bay Maritime Museum. 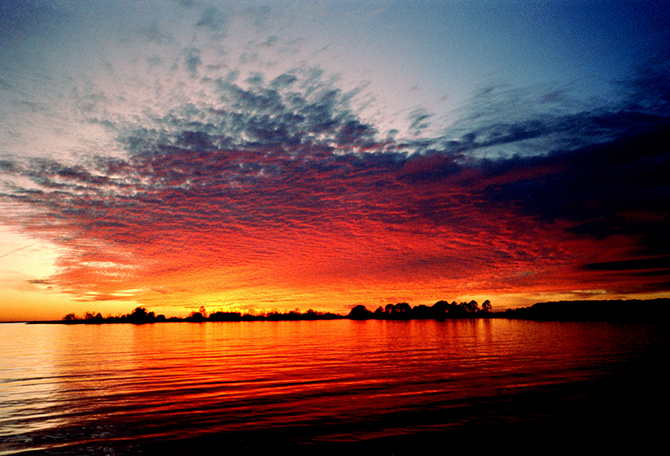 The nearby Eastern Shore towns of Tilghman Island, Easton and Oxford are a short drive or a bike ride away. Located on the second floor of the South Wing of the Inn, comprises a large living room with the finest view of the water in St. Michaels, two queen bedrooms, and two baths. 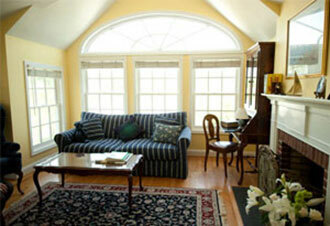 The living room is lined with arched windows overlooking the harbor, and has a new queen sized sofa bed; hardwood floors and oriental carpets; comfortable antiques, including a beautiful high boy desk and bookshelf, writing desk and chair; wonderful artwork of the Eastern Shore; oyster plates, a TV and VCR, and a wing chair covered in Ralph Lauren fabric. and unlimited rocking on one of our two porches. All rooms have been updated with Mitsubishi wall-mounted cooling/heating/de-humidifying systems for a cleaner, quieter, more relaxing stay. 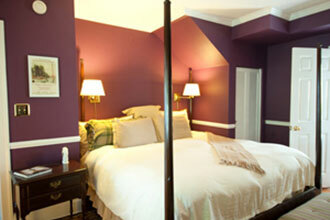 A spacious king room, and boasts a view of the Miles River and the Chesapeake Bay. Located on the first floor of the Inn and just steps away from the first floor porch and our dock, the Somerset offers a romantic four poster king size bed, Ralph Lauren linens, signed prints of eighteenth century Clipper ships, eclectic, comfortable antique furnishings, original hardwood floors and oriental carpets, and a spacious, new private bath with bathrobes for two. A queen size, water view room on the second floor of the Inn, just steps away from the second floor porch, overlooking the Miles River and the Chesapeake Bay. One of our most popular rooms, The Talbot is newly decorated with a four poster queen size bed, Ralph Lauren linens, antique furnishings, John Moll artwork, hardwood floors and oriental carpets, and a full, private bath. 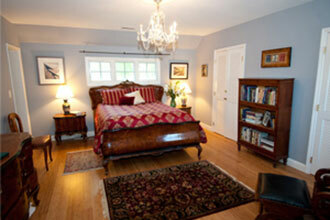 Wonderful, large, king room with a view of the Miles River and the Chesapeake Bay. Located on the first floor, just steps away from our first floor porch and dock, the Dorchester offers a water view, a king size four poster bed, Ralph Lauren linens, comfortable antique furnishings, original hardwood floors, oriental carpets, an ornamental fireplace, a David Lee print, and a private bath. 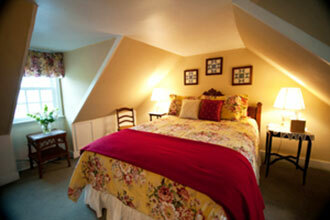 Located on the entire top floor of the Inn with the best view of the Miles River and the Chesapeake Bay in St. Michaels. Tucked under the eaves of the Inn, the Michener Suite has an Eastlake antique queen size bed, Ralph Lauren linens, bathrobes for two, and a full private bath with a Victorian copper bathtub. 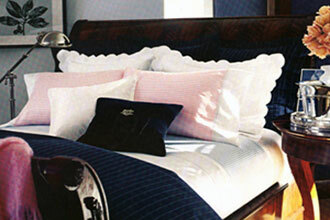 The Suite is furnished in eclectic and comfortable antiques, including a Waterford chandelier and oriental carpets. The Suite includes its own private library alcove, and 19th century door key. A complementary copy of Michener's Chesapeake, with a picture of James A. Michener in front of the Hambleton Inn is included for each guest. The largest room at the Inn. Features an Italian Walnut berle antique queen bed (with brand new mattress), dresser and side cabinets; Chinese red taffeta spread and pillows, Chinese lamps bedside; a beautiful walnut bookshelf; a wing chair covered in Ralph Lauren fabric; and a leather plantation chair and ottoman. Original artwork and signed prints cover the walls. The floors are hardwood with oriental carpets; French lace is at the windows. A flat screen TV is mounted on the wall. The private bath is brand new with a large shower, Waterford light fixture, and an antique walnut chest with a Kohler sink, table, and mirrors throughout. A queen size, water view room on the second floor of the Inn, just steps away from our second floor porch, overlooking the Miles River and the Chesapeake Bay. 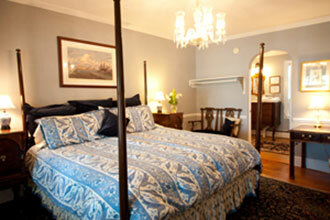 The Queen Anne is our lightest room with windows on three sides, covered with French lace. A cozy and comfortable room, the newly decorated Queen Anne offers Ralph Lauren linens, antique furnishings, original artwork, Waterford lighting, hardwood floors and oriental carpets, and a private bath nestled in the corner. 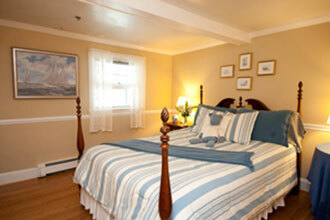 Queen sized room, located on the second floor of the South Wing of the Inn, with a new full bath, and access to a living room with the best view of the water in St. Michaels. Furnished with a magnificent walnut antique bed and chest, the Princess is simply beautiful, newly decorated with Ralph Lauren linens, original artwork and signed photographs, and French lace at the window. St. Michaels makes an impressive and unique location for a destination wedding. In 1928 St. Michaels was the site of the silent film, The First Kiss, starring Fay Wray and Gary Cooper; and more recently in 2005, Wedding Crashers. And did you know that Coastal Living selected St. Michaels among the top ten wedding destinations in the nation? Our precious historic town is right on the water, on the Eastern Shore of Maryland, in a cozy, historic community that is walking distance to everything: restaurants, galleries, shops, and a rich selection of activities on the water. Wedding venues abound: public parks with carpe diems overlooking the harbor; ceremonies on sailboats or in the front yards of inns on the water; or on docks jutting into the Bay, surrounded by your family and friends. When people on the Eastern Seaboard think of weddings, they think of St. Michaels. 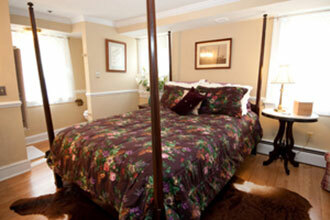 When people begin planning their wedding, they think of the Hambleton Inn. 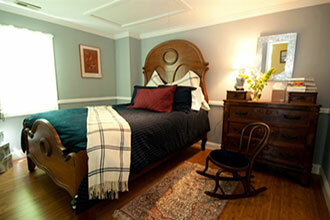 Steeped in history, the Hambleton Inn is right on the water and right in town. Many of our neighbors, right on our street, are also bed and breakfast inns, so your guests can stay with us, and with our neighbors in the historic district, and choose from among any number of venues in St. Michaels—including our dock—for your wedding and associated activities. Our waterfront setting with its breathtaking panoramic views is a dream come true for a bride on her wedding day, and walking distance to everything in town, including the world class Linden Spa. 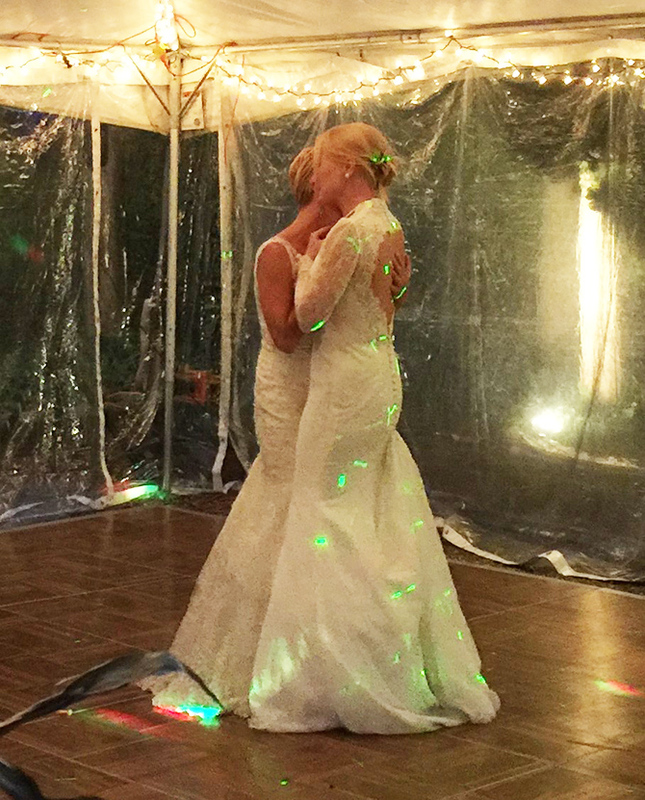 Let us make your wedding a day to remember. 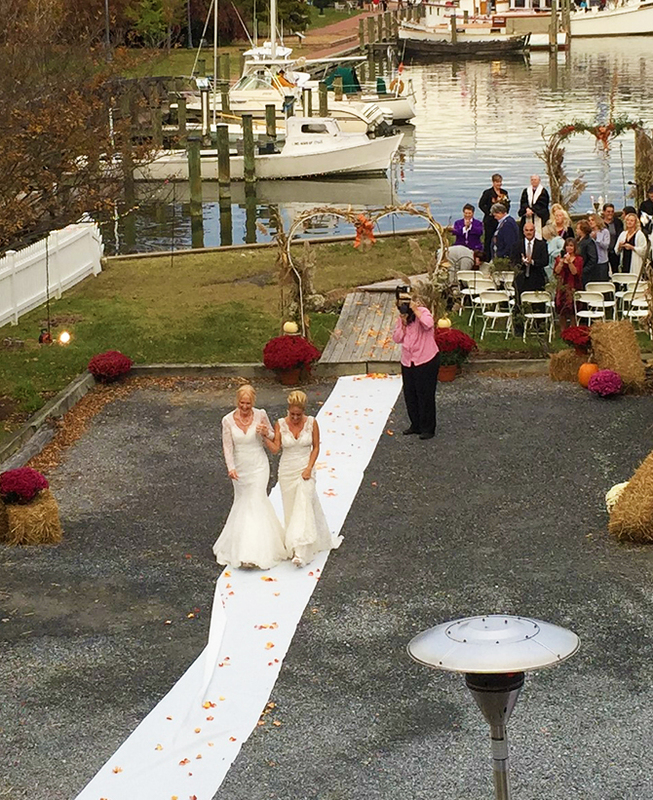 The Hambleton Inn in St. Michaels, Maryland, is a perfect venue for a small wedding; or the host property for a wedding that spills out all over town! St. Michaels is home to many award winning restaurants where you can host your rehearsal dinner, the bridesmaid’s tea, the wedding reception, or Sunday brunch, for example. From waterfront casual to five star elegant, you have your choice, and all within walking distance of the Hambleton Inn. Access to a variety of off site venues for special event and theme parties or for rehearsal and reception events.